Though there are many WordPress customer tracking options out there, you may find these options don’t give you the customer engagement and reporting flexibility you’re looking for. We all know WordPress is awesome. For those of us who don’t want to learn to code and don’t want to pay an expert for simple changes, WordPress page and post management is the answer. 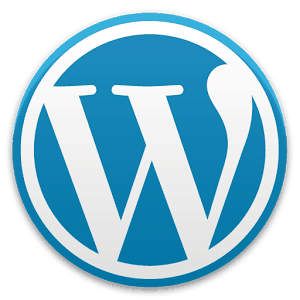 With WordPress, coding can take a backseat. You can manage your own content, add and update images and multimedia and ensure your SEO on-site optimization is in order. You can also use many of the same tracking tools you’re used to using in flat HTML/CSS websites. Here’s a pros-and-cons snippet of some of the most popular WordPress customer tracking tools. There are several plugins out there that handle Google Analytics. Google Analytics for WordPress and Google Analyticator are a few you can consider. Pros: These plugins are super easy to use and install. Cons: You won’t get WordPress customer tracking metrics right in your WordPress dashboard. Google Analytics plugins simply embed the tracking code for you. To see your metrics, you’ll need to go to your Google Analytics dashboard at Google.com. You also won’t get any extra levels of direct customer tracking as Google doesn’t allow you to log IPs – even though WordPress itself has this capability. Wassup is a real-time analytics tracking plugin for WordPress. Once installed, you can see customer hits to your site via logged IP address. You can edit customer information and source specific IPs to a specific customer. Cons: Wassup is a neat little plugin, but not really built to do in-depth customer logging and tracking. It’s not meant to be included in robust advertising campaign management, but rather as a small-scale watchdog solution for your site. Many small business owners like you who are looking for WordPress customer tracking capabilities end up turning to marketing automation. Regardless of whether or not your site is built on a CRM, most marketing automation dashboards are built on the backend of your site and have their own login – meaning they can work with WordPress as well as a non-CMS built website. Marketing automation tools aren’t just a one-time plugin. They’re advanced cloud tools that allow you to link customers to specific companies, actions and to the efficacy of your overall marketing campaign. If you haven’t tried out marketing automation, Lead Liaison is a great place to start! Talk to us about installing marketing automation tools and starting WordPress customer tracking today. https://www.leadliaison.com/wp-content/uploads/2013/04/Lead-Liaison-Logo5.png 0 0 Lead Liaison https://www.leadliaison.com/wp-content/uploads/2013/04/Lead-Liaison-Logo5.png Lead Liaison2013-09-13 06:00:242014-09-13 23:41:17Wordpress Customer Tracking – What’s the Best Choice? On Website Visitor Identification: Does Conversion Code Cut It? What can Website Visitor Tracking Really Tell You?